By now, we’ve all read the articles about the Pokemon Go phenomenon— it’s better than Fitbit at getting people moving, people’s legs hurt because they are walking so much, and everyone from retailers to Hillary Clinton is learning how to take advantage of the crowds of people out and about hunting Pokemon. 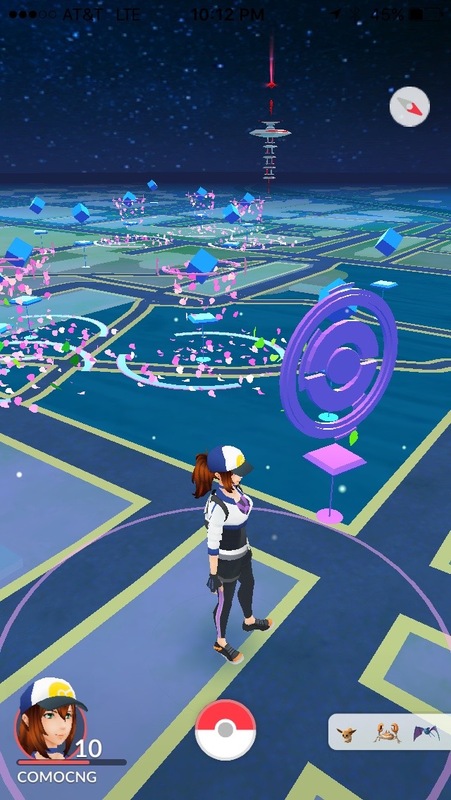 In addition, Pokestops (where you can stock up on pokeballs, lures, and other supplies) and gyms (where you battle other players) are all based on actual physical locations. Players can also attach “lures” onto Pokestops to attract Pokemon to that location. While this has caused some problems—particularly in areas such as Arlington National Cemetery and the Holocaust Memorial Museum—they are mostly found at parks, public art installations, and historic buildings. Although these are all interesting outcomes to ponder, what I find most fascinating about this game is the vision of my city it provides. 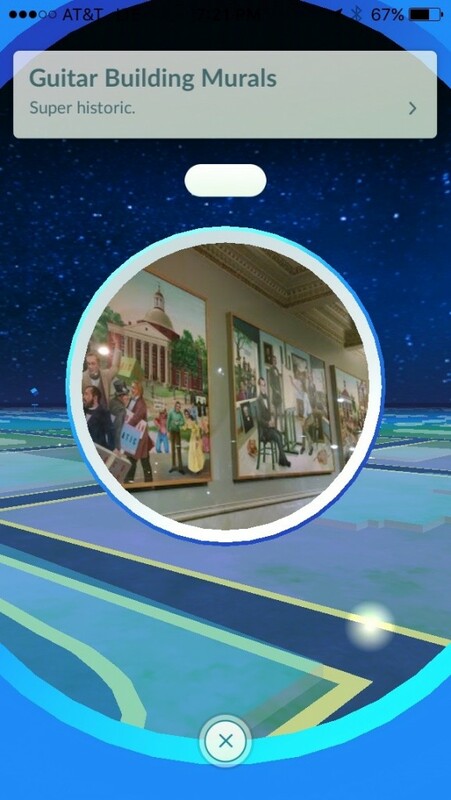 While you catch Pokemon in augmented reality, the game itself is essentially overlaid onto Google maps. As such, it gives you a sense of the texture of your city. Here is a screen shot of my downtown. 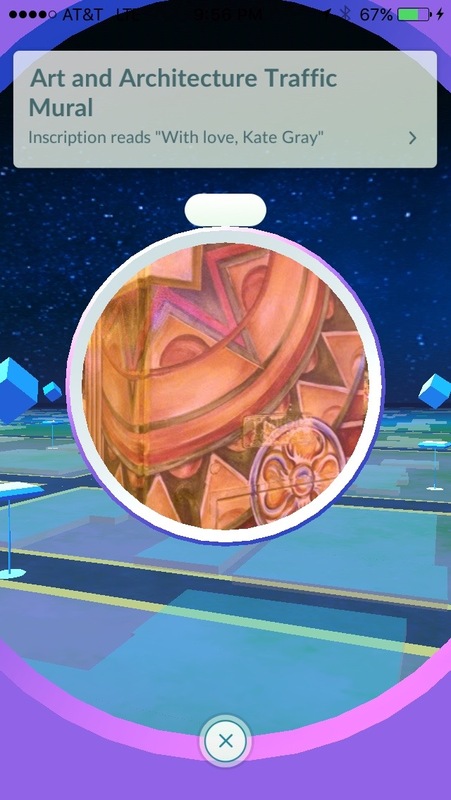 In it you can see a gym, a dozen Pokestops, and half a dozen lures (which look like confetti). This rich online tapestry is indicative of real world activity. Just one glance will tell you that this downtown has historic sites, public art, parks, and people. In short, this exuberant online world represents a place you’d like to be. Contrast this with the two maps below. The first is a major arterial road that passes through a strip of big box stores and then connects to I-70. The second is the local mall. 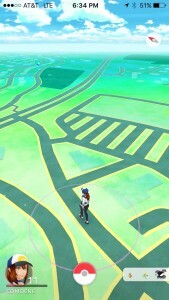 While they are both fairly successful commercial areas, they’re pretty boring in the Pokemon world. No green space, no art, no natural gathering places for people. Certainly, these are places that are useful in our city and of course, we’ll eventually want to buy something. Why, though, would we ever want to spend more time than absolutely necessary in these areas? We need to start asking how we could make these spaces more inherently interesting. 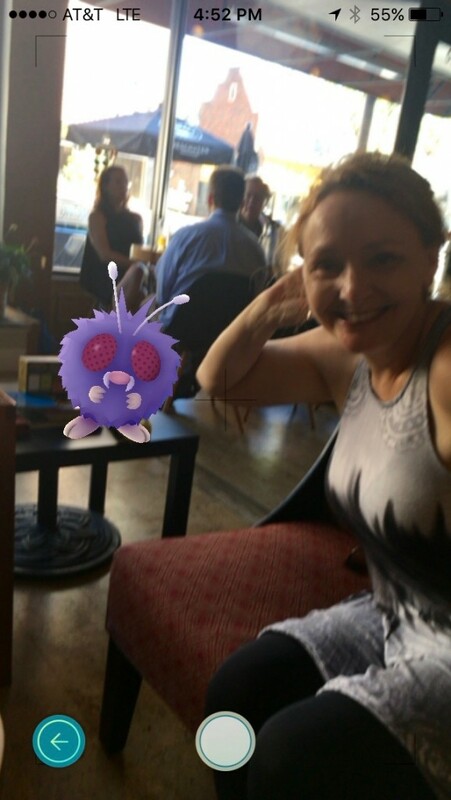 Pokemon Go is just a game—and who knows, it may be a fad that’s here and gone within a few months. What it tells us about our cities though, is lasting. We have a big firework show in our downtown every Fourth of July and the traffic jam after the show, as one may imagine, is significant. While we tend to walk or bike because we live so close, most people have to drive. Last night we arrived home and realized that a lot of people were turning down our street to avoid traffic jams on adjacent roads. Now, I’m a big fan of the idea that public streets should be available to all members of the public. I have no problem with people driving down “my street” provided they drive slowly and watch out for pedestrians. However, late last night as we sat on our front porch, a line of cars began speeding down our street. No problem, I thought. I simply started flagging down cars and asking them to drive a little bit slower. Most people were pretty cool about it, apologizing and dropping their speed down. Until the guy and his wife in the SUV. I was taken aback. What do you mean you’re not in a neighborhood? We have front porches and dogs and backyard barbecues on holidays. Of course we have a neighborhood. He rolled up his window and drove off. 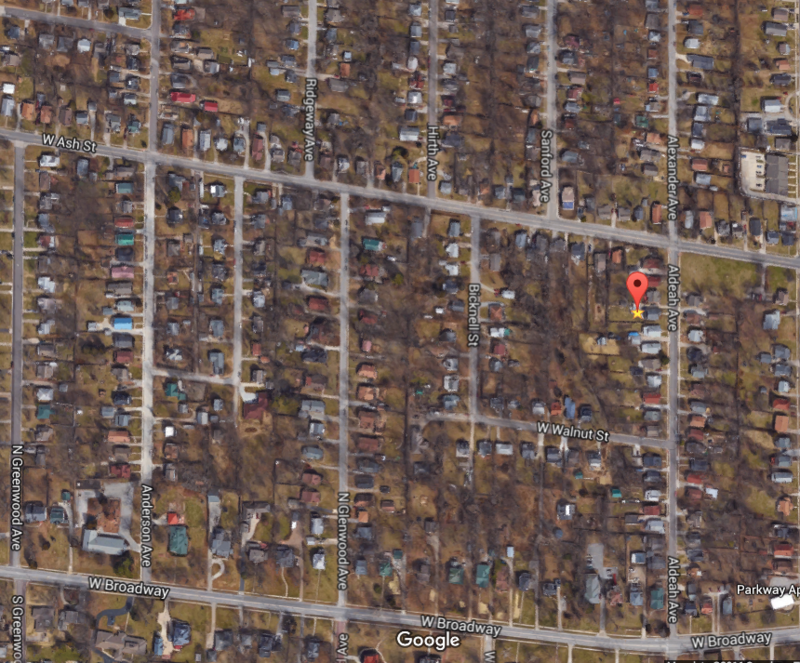 I was furious but what became clear to me is that our street didn’t match his view of what constitutes a neighborhood. We have no winding roads or cul-de-sacs designed to discourage vehicular traffic. 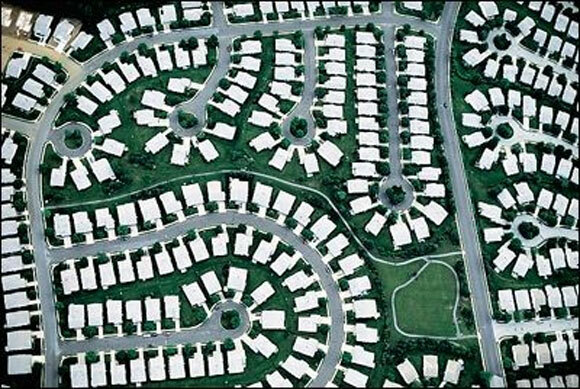 Would I trade the traffic for a suburban-style development? Absolutely not. Would I take a bag of our recycling and set it in the street to force people to slow down and navigate around it? Why, yes I would. As my organization prepares to create a corridor plan, I’m spending much of my time surveying the street and benchmarking current conditions. At some point we’ll have to think about measuring traffic counts but I find the current technology a bit limiting. The old-fashioned approach involved throwing a sensor across the road to count cars. That’s a good start if all you’re interested in is volume but it tells you very little about where all those people are actually going. The key to a successful corridor is connections. While it’s useful in some ways to have a thoroughfare that people travel down to get someplace else, what we really want is a street people go to rather than through. That’s where the idea of connections comes in. Where are people coming from? Where are they going? What routes do they take to enter and exit the corridor? What streets do people take instead of this one? I’ve spoken to a few people about cameras installed on key intersections to collect some of this data and while it will help identify collectors and direction of travel, it’s still a far from comprehensive understanding of travel patterns. That’s why the trend of wearables offers such potential. Can the quantified self help with city planning? 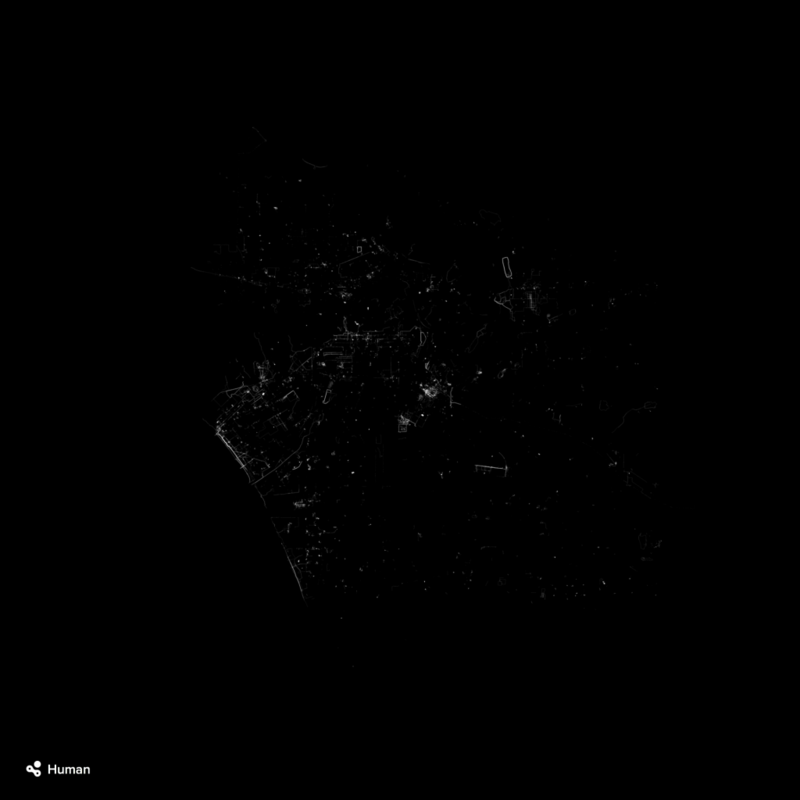 If people are already tracking themselves via apps like Strava or MapMyRun, can we draw on this data for urban planning efforts? For instance, below is the cycling heat map for Columbia. It’s immediately clear where all the trails are—they show up bright red. The corridor I’m looking at is the east-west running gray line just south of the interstate. 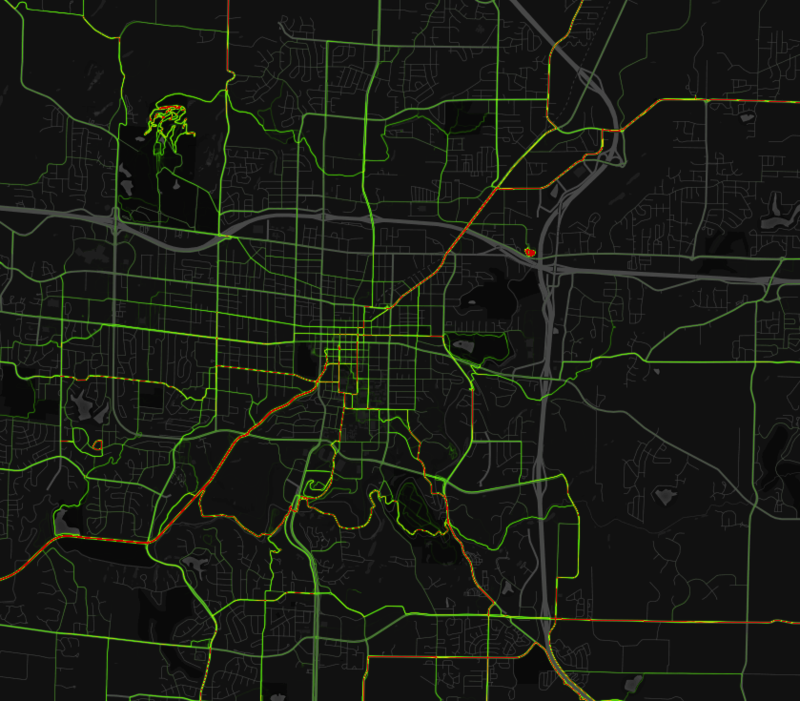 And yes, gray means that no one bikes on it. Looking a little closer though shows that people are biking through the neighborhoods just south of the corridor. We can clearly see the routes running parallel to the corridor and can see the points of connection. 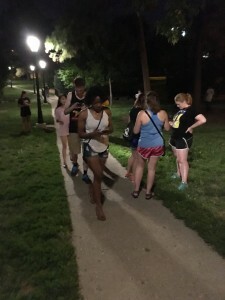 For a planner, the question then becomes how to enhance those connections to make them safer, more visible, and more welcoming. By doing so, perhaps we can start encouraging more biking along the corridor itself. Strava also has a option to map runs but that doesn’t quite address the question of how pedestrians use a city or, importantly, how cars move around a city. 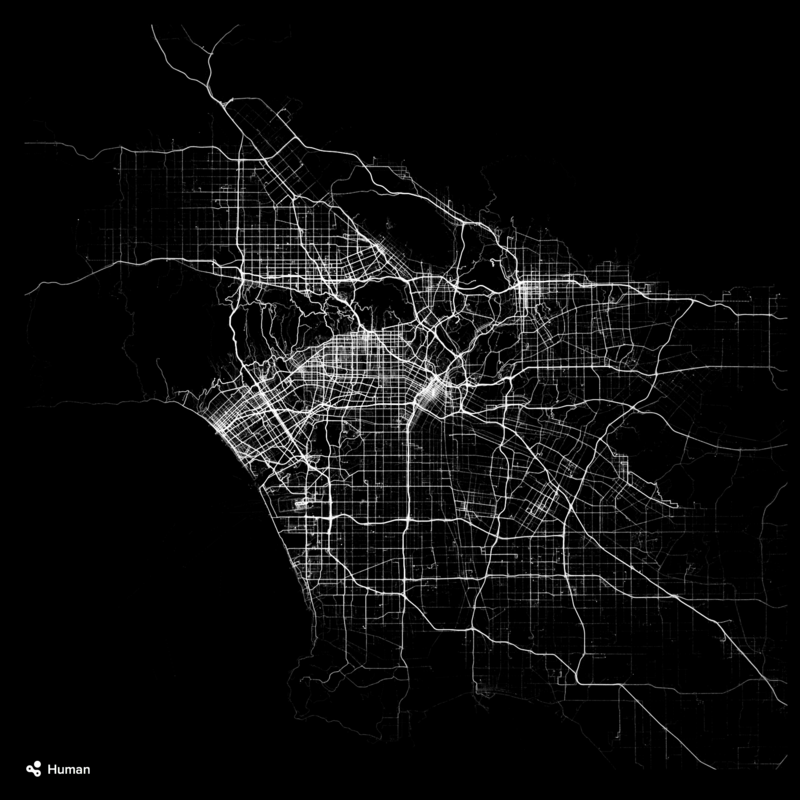 While motorized transit in Los Angeles is still clearly the preferred (or necessary) mode of travel, the maps do give us some interesting information. 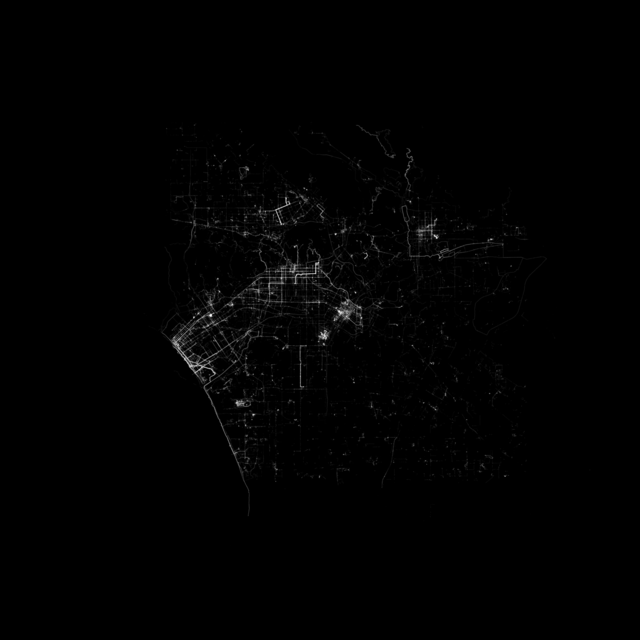 A surprising amount of people are biking, although largely along the coast and in the areas around Santa Monica, Beverly Hills, Van Nuys, and Pasadena. 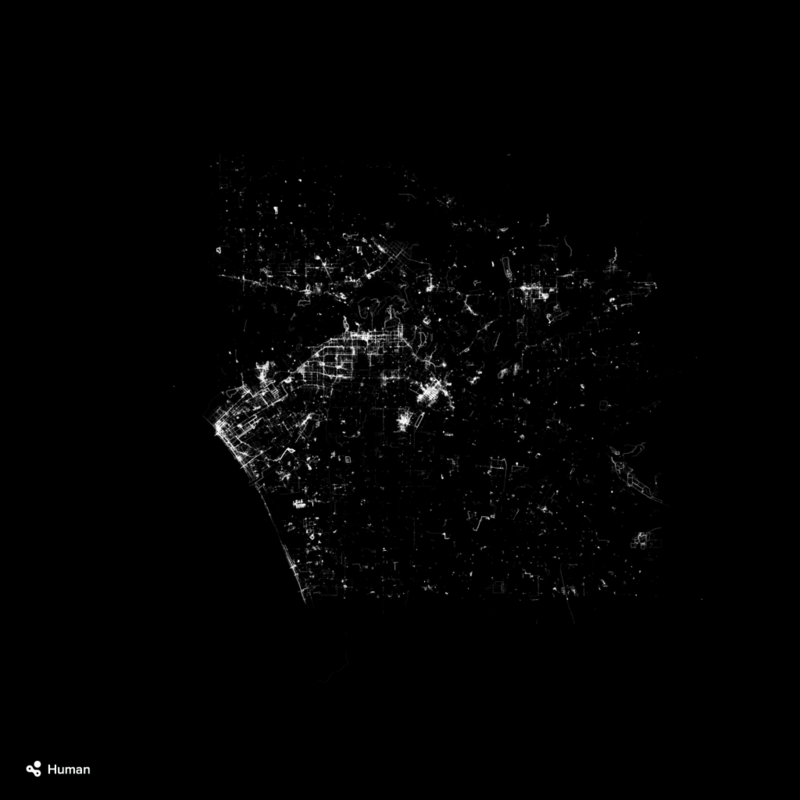 Certainly income plays into this but looking at the map of LA, these are also the areas with grid street layouts. 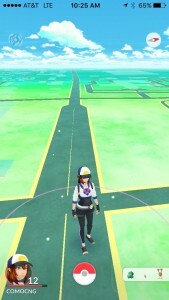 Those areas also rank higher on walking, likely for the same reason. It’s much easy to bike or walk in areas with traditional street designs. 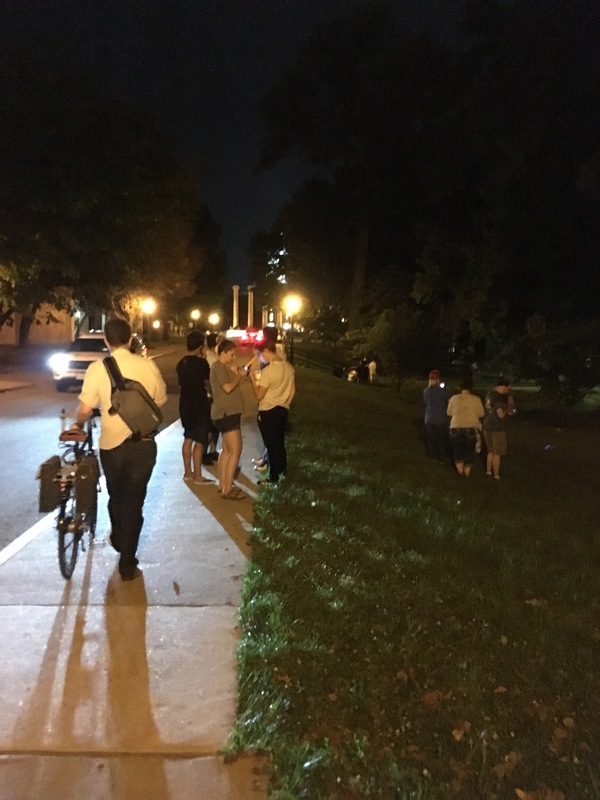 Notice though that people seem to have found small walking and running routes all over the city. Even the motorized transportation data can be illuminating by showing the heavily trafficked freeways and the routes people choose to exit or enter. 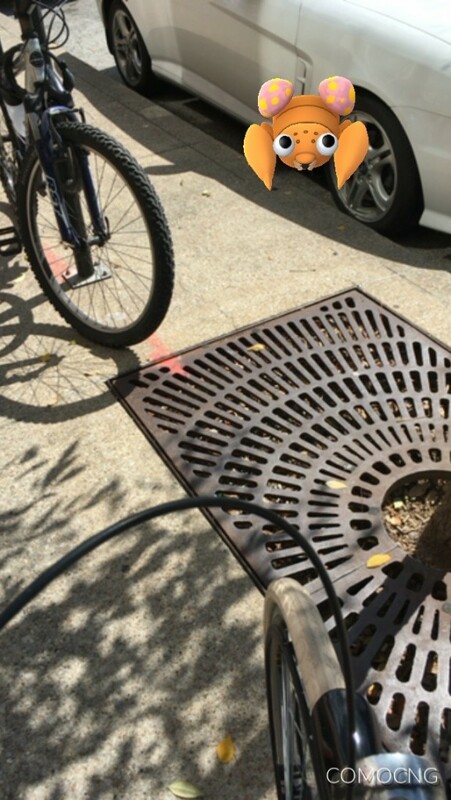 And imagine color-coordinated layers where we could see the vehicle/bike/pedestrian interaction points. Of course, people using tracking apps on iPhones are not necessarily representative of the entire community. However, one thing we found when we were mapping out bike routes for Columbia was that regular cyclists had a much better understanding of the best bike routes in town—which streets you took to avoid hills, where the wider bike lanes were, what neighborhood short cuts would help you avoid the most traffic, and so on. Even the occasional cyclists without fancy GPS tracking apps would intuitively choose these routes because they were easier, safer, or more pleasant. In that sense, the hard-core enthusiasts served as trail blazers for those only out for a relaxing bike ride with the family. Given that, these tracking apps can help planners learn the best routes for various modes of transportation and discover the areas most in need of infrastructure investment. And as far as my empty gray corridor is concerned, it comes as no surprise that the area is in need of infrastructure—and I now have a literal road map for determining the best places to start improving the corridor. Digital Graffiti at Alys Beach | 2015 from Pure7® Studios on Vimeo. As I was walking the dog, I was reminded once again that Bradford Pears were planted for people in cars, not for people on foot. Once one of the most popular landscaping trees in America, most now bemoan the weak branch structure or the invasive nature of the Bradford. 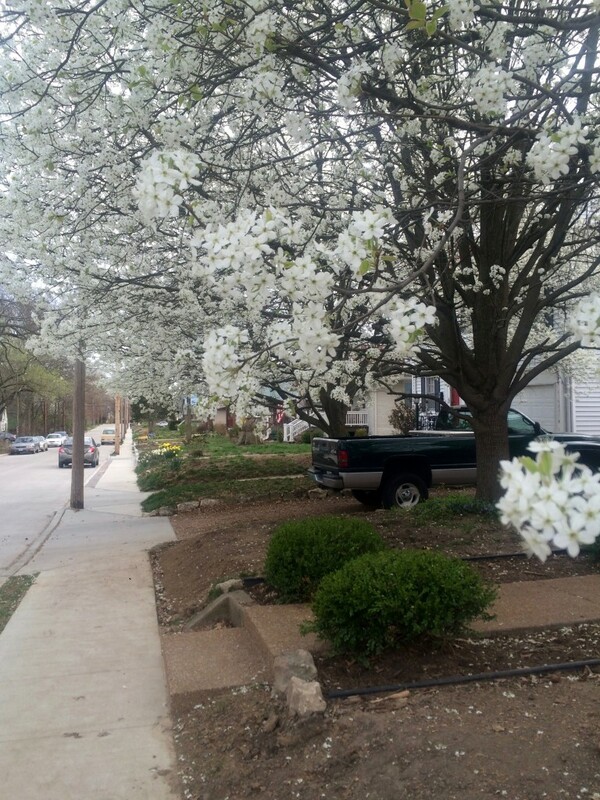 Any pedestrian though can tell you the beauty of its white flowers is only eclipsed by its terrible smell.